So many wonderful #womenshistoryreads authors, so many wonderful #womenshistoryreads books! 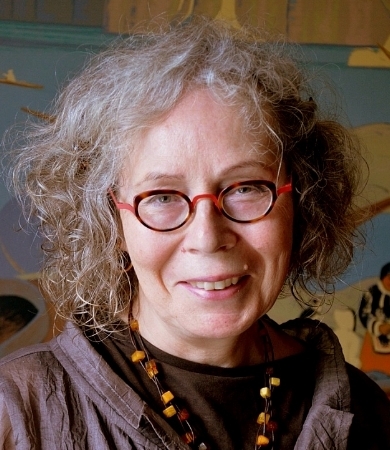 The series continues today with Eva Stachniak, most recently the author of THE CHOSEN MAIDEN. I could tell you about her amazing inspiration for this book, a forgotten woman whose story needed to be told -- but will let Eva do that directly with her answers below. And I love her term for what she writes: "archival fantasies." Eva: I’ve always been drawn to strong women who defined themselves in opposition to the prevailing expectations society had of them. So far my characters have been inspired by an 18th century Greek peasant girl who married into Polish aristocracy, a minor German princess Sophie of Anhalt-Zerbst who became Catherine the Great, and—most recently—extraordinary Bronislava (Bronia) Nijinska, a younger sister of the brilliant 20th century dancer Vaslav Nijinsky. 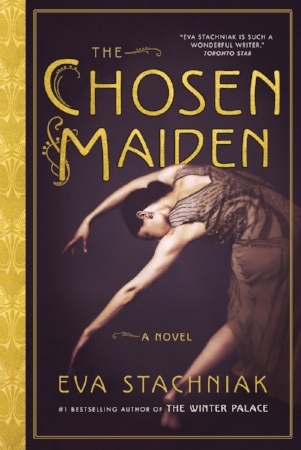 The Chosen Maiden, my last novel, tells the story of her life and art. It was Bronia’s indomitable strength that captured my heart. Strength to fight for her own place first in the Imperial Theatres of St. Petersburg and then in the predominantly male focused Ballets Russes. Strength not to give up when she was told she didn’t have the body of a ballerina or that she should interpret her brother’s visions and not bother with her own. Strength to resist the repressive regimes determined to engineer her soul, and, in the end, to pick herself up after each paralyzing loss life dealt her and to keep on fighting. Eva: I write historical fiction based on research. I like to call my novels archival fantasies, for although I stay true to existing sources, I allow myself my own interpretation. I write about women whose lives have touched me on a personal level, with whom I can identify. My characters—like me—are immigrants who have to redefine themselves in another culture, rebuild their lives from the ground up. Greer: What do you find most exciting about researching historical women? Eva: The realization how much has changed in our understanding of history, how important and fruitful it is to seek the once forgotten or overlooked points of view. I love researching the lives of servants or palace spies, those on the margins of power, whose voices have to be pried from the official accounts. I love examining the circumstances of their lives, seeking what it is that I can learn from them, in spite of all the differences between us. Greer: Agreed. Most historical novelists I know are drawn to writing about the past precisely because it can help us gain a better understanding of our present. Eva: What literary pilgrimages have you gone on or hoping to go on? Greer: What a great question! I wasn't able to visit the grave of Kate Warne, the real-life inspiration for my novel GIRL IN DISGUISE, before the book came out, so I was thrilled to visit while on book tour promoting the hardcover. She's buried in the Pinkerton family plot in Chicago's Graceland Cemetery. I took Kate some flowers and said thanks. It was a really powerful moment. And her name is spelled Kate Warn on her tombstone, so I took her an E. That was one of my favorite book tour experiences, and I love book tour, so there's a lot of competition.